Easily convert and attack with Transformers Cyberverse Action Attackers figures! Convert Slipstream figure from robot to vehicle mode in 9 steps. The last step of conversion automatically activates Slipstream figure’s Sonic Swirl Action Attack move! Once converted, move can be repeated through easy reactivation steps. 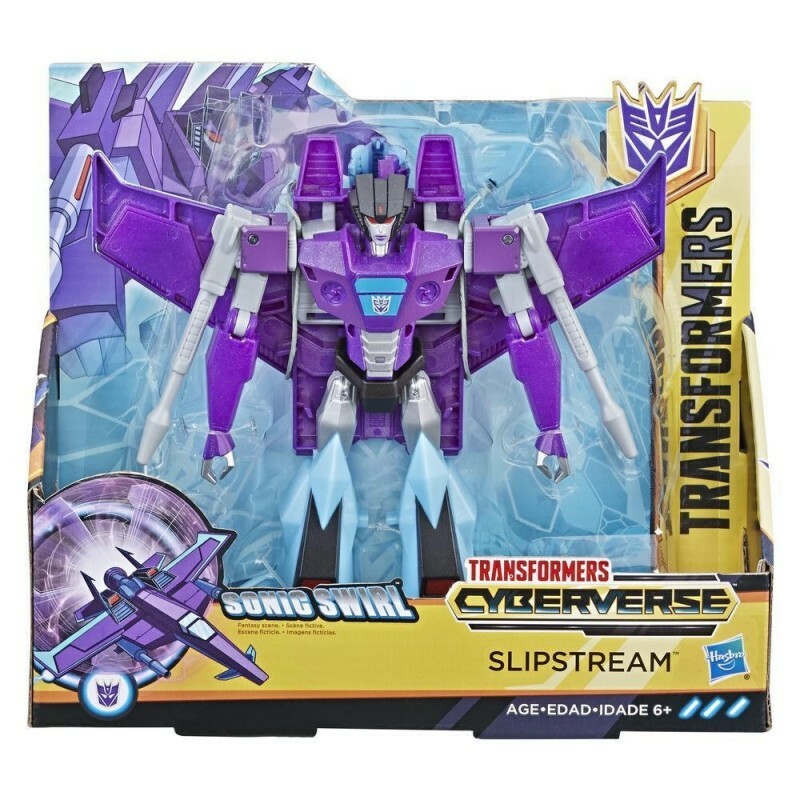 • 7.5-INCH SLIPSREAM FIGURE: 7.5-inch Ultra Class Slipstream Action Attackers figure inspired by the Cyberverse animated series. Similar Figure scale to Voyager class Transformers action figures. • SIGNATURE SLIPSTREAM ATTACK MOVE: Convert the evil Decepticon Slipstream to activate Sonic Swirl Action Attack move. Fun attack move can be repeated through easy reactivation steps. • 2-IN-1 TOY: Easy conversion for kids ages 6 and up! Easily convert Slipstream toy from robot to jet mode in 9 steps. Makes a great gift. Please note that since Transformers toys are made for children, some parts are designed to detach if play gets too rough. That way, the pieces can be reattached without damaging the toy. • CLASSIC CYBERVERSE CHARACTER: Purple Slipstream toy with blue decals inspired by the strategic Seeker from the Transformers Cyberverse cartoon, as seen on Cartoon Network and YouTube.